Betsy’s life is officially over: Dumped by her boyfriend, betrayed by her best friend… How is she ever going to show her face again? Determined to avoid everyone and everything from her previous life, Betsy stumbles into an unusual café and an even more unusual girl. Dolores Morrisa mouthy, green-haired outsider Betsy can’t quite remember from schooltalks her into starting a cleaning service. Before she knows it, Betsy is down on her knees, dressed like a dust bunny, scrubbing strangers’ toilets. 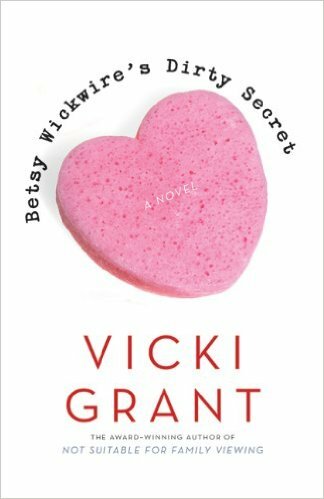 “(VICKI GRANT) is a funny writer who knows the recipe to writing a good book: she writes a serious book blended with just the right number of laugh-out-loud situations.